Preheat & Insulation Furnace is mainly used for preheating and heat preservation of spinning parts, such as spinning meter pump, spinning finish pump, spin pack, spinneret and so on. It has the advantages of small floor area, short heating time, and energy-saving and high precision temperature control. 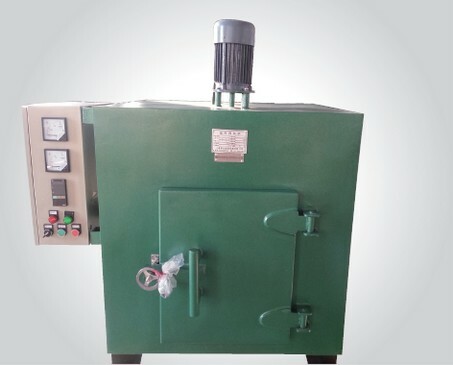 The outer frame of Preheating & Insulation Furnace is made by welding the profiled bar; the lateral plate in the working room is stainless steel plate; the gap between the working room and outer wall is filled with fine quality aluminum silicate wool to carry out insulation and heat preservation. Also Pre-heating & Insulation can be mounted with universal mobile wheels to easily move around in the workshop. In addition, it has separate control system, the heating component is installed in the inside, and the heat generated by the heating elements acts on the components inside the working room through the heat radiation function to warm-up the components. Hereafter some dimension is listed. We provide any dimension as requested.